Join us Thurs, October 27th for a hot & tasty lunch! 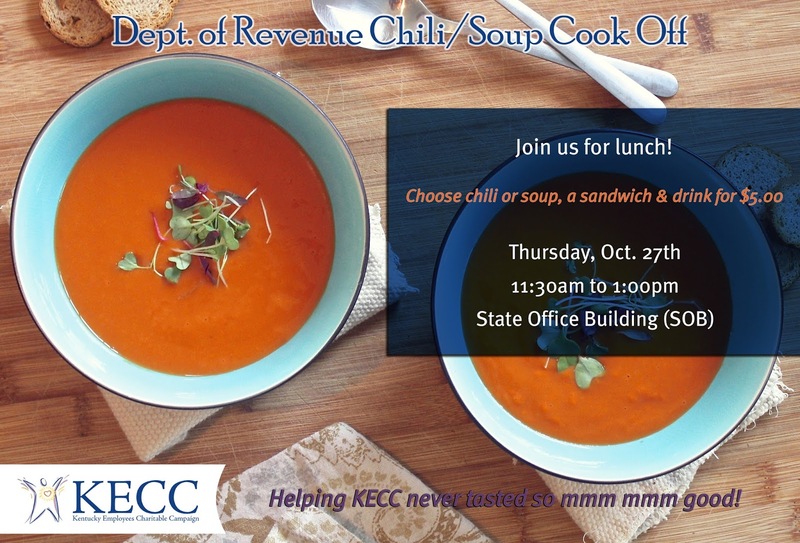 This Thursday, October 27th, the Department of Revenue will host a Chili / Soup Cook Off to benefit KECC. Join us at the State Office Building (502 High St, Frankfort)! Ladles will be pouring from 11:30am to 1pm, so come early before we run out! Choose chili or soup, a sandwich & drink for just $5.00.